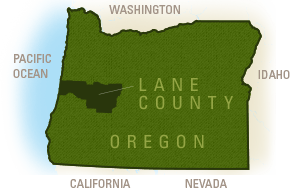 Eugene recently hosted the Neighborhoods USA (NUSA) 2014 Annual Conference. NUSA is a national non-profit that encourages the building and strengthening of neighborhood. For almost 40 years, NUSA has held an annual conference allowing people from various locations and levels of society to discuss issues, share their stories, and offer assistance to one another. Close to 600 delegates participated in this year’s event, attending nearly 50 workshops and general sessions, touring neighborhoods and – best of all – witnessing firsthand what makes Eugene a unique place to meet. The Opening Reception was held at the Ford Alumni Center on the University of Oregon campus and showcased some of what makes Eugene special. Each meal during the conference was accompanied by a local musical group, and the meal during the Opening Reception was exceptional. 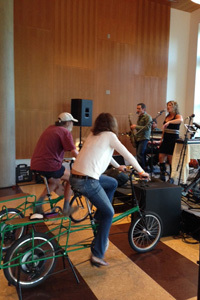 The sound system at that time ran through Pedal Power Music, which powers audio and visual systems by pedaling a bicycle. 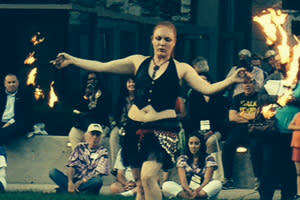 Fire dancers kept the crowd entranced as they closed out the Opening Reception festivities. 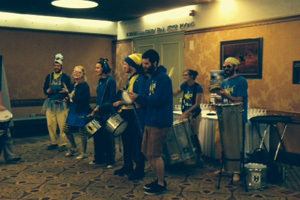 Samba Ja provided a performance later in the week (pictured), with an energetic version of a drum line that was the talk of the conference. Saturday morning’s breakfast included a community service project in which delegates assembled food bags for the Harlow Neighborhood’s Feed Hope Project. This project took top honors during NUSA’s 2013 conference. It provides meals for students during school breaks when lunches are not provided. Many steps were taken to work towards our conference goal of zero waste. 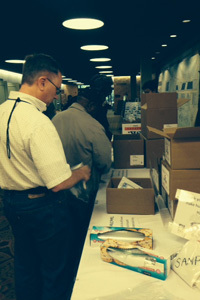 Delegates were asked to opt out of paper (with 35% choosing to do so), bins for composting and recycling were situated throughout the event for easy use, ingredients for meals were purchased locally, and name badge holders were collected for use at next year’s conference. For some of the attendees, this was their first exposure to the concept of recycling and composting at an event. The NUSA 2014 Annual Conference was a great success, and one we feel was a memorable experience for those that attended. 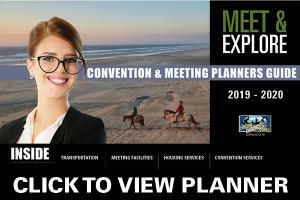 Our staff loves to share the unique qualities of our area with conference planners so that you, in turn, can create an unforgettable experience for your delegates. Contact us to create a one-of-a-kind event with local entertainment and exciting activities that is sure to leave your attendees talking.